First, a confluence of circumstances appeared on the horizon. Forming one side, the University of South Florida Health’s Morsani College of Medicine critically required a new facility to adapt to contemporary medical training requirements. Its focus was directed at students, with meeting their academic, professional, social and health needs viewed as not just paramount to the success of USF but also to the development of the next generation of health-care providers and leaders. USF was intent on teaching integrated clinical skills in a community-focused environment, one that would create a new partnership between the community, students and faculty. At the same time, another component, the USF Health Heart Institute, was seen as the bridge to new and more effective treatments for one of Florida’s leading causes of death through research and care. 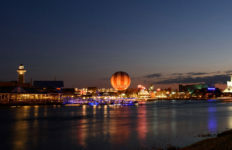 At the other end, business leaders in downtown Tampa had an eye on creating a major economic catalyst — an essential spark of new development and renewed vitality. 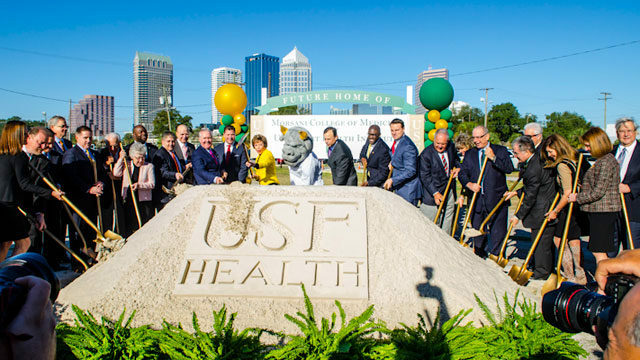 On Dec. 8, a sunny day across Tampa Bay, those two sides met, delivering rays of regional hope in the form of an official groundbreaking for the new Morsani College of Medicine and USF Health Heart Institute. On hand were USF System President Judy Genshaft and Senior Vice President for USF Health Dr. Charles Lockwood, along with Jeff Vinik of Strategic Property Partners (also owner of the Tampa Bay Lightning), Tampa Mayor Bob Buckhorn, state legislators and members of the Florida Board of Governors. They were the celebrities, not the story. In June, the Florida Legislature and Gov. Rick Scott supported plans for the new co-located facility by including $17 million in the annual state budget. At present, the new Morsani College of Medicine and USF Health Heart Institute, which will be built with a combination of state and private dollars, have received a total of roughly $57 million in state funding and $18 million in private donations. That sum was deemed enough to draw shovels to dirt on a project costing an estimated $153 million and will open in 2019. The day marked a new dawning. The downtown site positions the medical school in close proximity to USF Health’s primary teaching and clinical affiliate, Tampa General Hospital, as well as its world-class simulation center, the USF Health Center for Advanced Medical Learning and Simulation (CAMLS) and other surrounding facilities. The move also strengthens the university’s presence in downtown Tampa’s business district and allows USF Health to simultaneously expand essential educational and research programs at its main campus location. The downtown synergy has already had an impact, according to Lockwood, who also serves as dean of the Morsani College of Medicine. At the dedication, he reported more than 6,100 applications had been received for the 2015-16 admissions cycle, all vying for 170 available positions. In addition, located at the corner of South Meridian Avenue and Channelside Drive, the new facility is part of a $2 billion real estate development by Strategic Property Partners, a joint venture between Cascade Investment LLC and Vinik. Notably, Cascade is a holding and investment company, headquartered in Kirkland, Wash., that is controlled by Microsoft magnate Bill Gates. The group is developing 40 acres in downtown Tampa into a multiuse, urban waterfront district with a health and wellness focus. At the podium that day, Vinik foresaw companion office buildings; a 500-room hotel; 1,000 residential units; 200,000 square feet of retail space; public art and bike paths; plus restaurants and entertainment options. 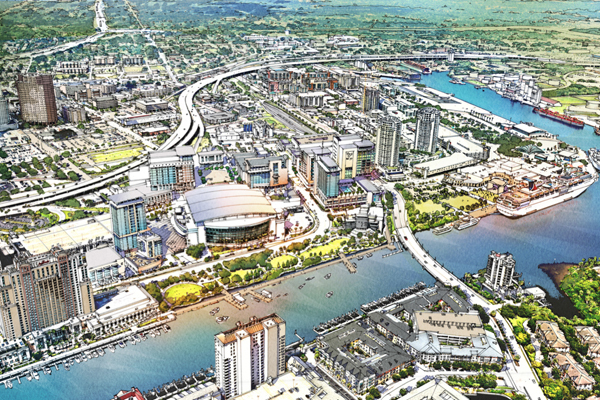 A new day for USF … and downtown Tampa. There’s even more to the USF story. 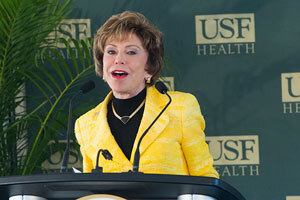 Its new downtown location will enhance a primary goal of the USF mission: to achieve national prominence in research. The Heart Institute, for example, also enhances recruitment of top cardiovascular researchers, enables an increase in funding levels form the National Institutes of Health, and supports clinical and translational research opportunities to advance public health. 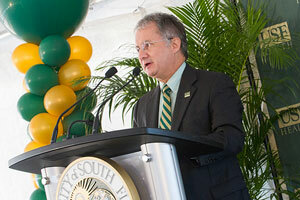 Less than a week before its Dec. 8 groundbreaking ceremony, USF announced a No. 25 national ranking among public research universities for research spending from the National Science Foundation (NSF). 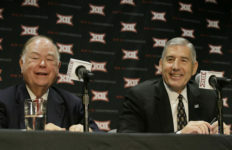 The university was ranked No. 27 in 2014. In the rankings for all universities, both public and private, USF moved to No. 41 nationally for total research expenditures and is ranked No. 2 in Florida. The latest NSF data, compiled by surveying 895 research universities across the United States, reflects the continued growth of USF’s research enterprise through the measurement of research expenditures, a significant indicator of the research activity at a university. Designated as an Innovation and Economic Prosperity University by the Association of Public and Land-grant Universities, USF increased its total research expenditures from $459.4 million in FY 2013 to $488.6 million in FY 2014 – a 6.4 percent increase – although research funded by the federal government decreased 1.2 percent. Good news for USF … and Tampa Bay. 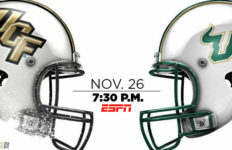 Photo Credit: Images courtesy of University of South Florida.